Myles Jury and Jon Tuck, two of the most exciting lightweight fighters waiting to make it to the UFC, have just come one step closer to MMA fame. Jury and Tuck, both fighters from The Arena gym in San Diego, were recently selected as cast members for the upcoming TUF 15, otherwise known as The Ultimate Fighter Live. With the UFC’s recent move from Spike to Fox, the previous format of the hit show The Ultimate Fighter has changed. 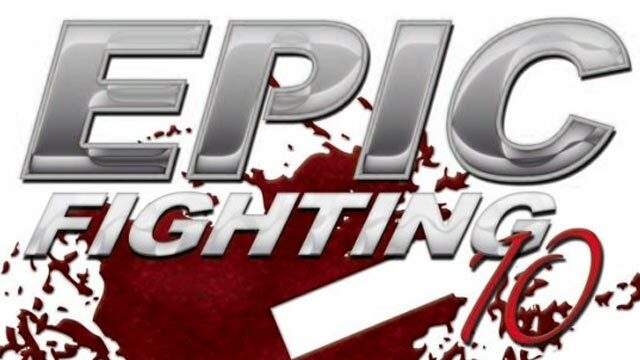 Now airing on FX, the show will be broadcast live and is expected to have a huge increase in the viewing audience from the previous peaks of The Ultimate Fighter show. For Myles Jury and Jon Tuck, it’s a dream come true. Both fighters are undefeated, and both are projected to be favorites to win the whole show. The two fighters are also both very similar in their stats. Close in age, height, reach, and athleticism, they possess the whole MMA package: excellent Jiu Jitsu, Wrestling and Striking, with KO power in either hand. For The Arena, the San Diego MMA gym that Myles Jury and Jon Tuck call their gym of choice, it is yet another appearance of its fighters on the TUF reality show. 4 other fighters coming out of The Arena have previously competed on TUF, including Joe Duarte, Kiel Reid, Frank Lester, and Mr. Woooo himself, TUF Season 13 favorite Chris Cope who won on Season 13’s finale. Look for both Myles Jury and Jon Tuck to do big things on TUF 15 on behalf of The Arena Gym as their hard work, talent, and dedication to their sport propel them to MMA stardom. On Saturday Dec. 17, The Arena held it’s first Jiu Jitsu Promotions. Although The Arena has offered an outstanding No Gi Jiu Jitsu program for years, the gym recently included Gi Jiu Jitsu into it’s program and now offers 11 Gi classes a week to compliment its 12 No Gi classes, for a total of 23 Jiu Jitsu classes weekly. With 6 black belts supervising including Brazilian Jiu Jitsu legend Saulo Ribieiro and Roy Harris, more than 40 people on the mat, and over a hundred spectators, the event was well-attended. Favorite female MMA photographer Tracy Lee took pictures while reporters from several MMA magazines did interviews. Arena MMA Coach Jeff Clark (2nd degree Black Belt) promoted fellow MMA and Jiu Jitsu Coach Pat Speight to Black Belt. Other Arena Coaches / Fighters promoted included Paul Stark, Joe Duarte, Vince Salvador, Jon Tuck, Johnny Billingslea, Rich Power, Kiel Reid, Chris Cope and Shane Kruchten. Many regular Arena Jiu Jitsu students were also promoted. 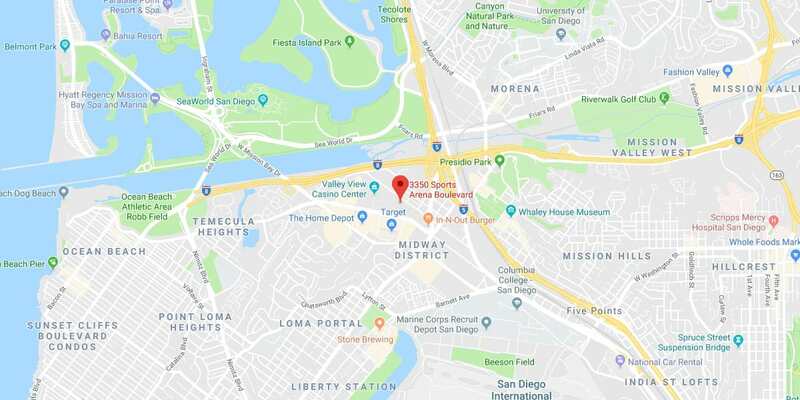 After the promotions, The Arena hosted a BBQ prior to heading next door to the San Diego Sports Arena to watch two of its MMA fighters, KJ Noons and Cristiane “Cyborg” Santos, compete and win in the Strikeforce promotion held Saturday evening. The new Gi Jiu Jitsu program is a welcome addition to The Arena’s other extremely strong San Diego offerings including No Gi Jiu Jitsu, Muay Thai, Boxing, Wrestling and of course MMA. While MMA will continue to be the core focus of the gym, The Arena’s Gi Jitsu program allows its students an additional venue for development and competition. The new program will also feature new teaching methodologies, discarding anything non-functional, and instead concentrating on developing its practioners at a rapid pace by exposing them to high-level instruction in a systemized format. 4 Jiu Jitsu black belts will be instructing the program including Jeff Clark, Jake Mapes, Jason Bukich and Pat Speight, with plans to bring on additional black belts to the program soon. If you are interested in becoming involved in this new San Diego Jiu Jitsu program, please speak to one of the Coaches or come into one of the classes anytime. The Arena’s MMA Team had an outstanding showing at Strikeforce, held Saturday December 17 at the San Diego Sports Arena (now known as the Valley View Casino Center). Local favorite KJ Noons, trained by Arena coaches Jeff Clark, Pat Speight, and Vince Salvador, slugged it out for 3 rounds with a game Billy Evangelista in the fight of the night. There was outstanding action back and forth, but in the end Noons’ skill, chin and heart propelled him to a unanimous decision over Evangelista. The win puts Noons back into contention, and should land him a title shot if he wins his next bout. With numerous other well-regarded fighters on its roster, the two wins for the team on the main card of Strikeforce proved once again why The Arena is considered one of the most promising MMA teams and gym in the sport. 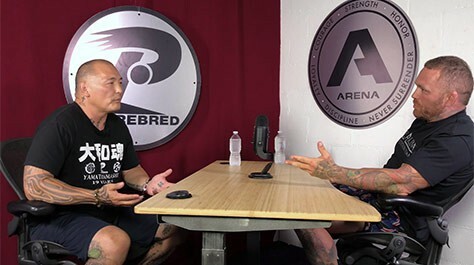 Only 3 years old, the popular San Diego MMA Gym has made rapid gains in a short time and has aggressive plans for additional expansion and success in the near future. On December 17th, the Valley View Casino Arena (San Diego Sports Arena) will be host to a World Championship MMA event put on by Strikeforce. The event will feature two World Championship Title fights! 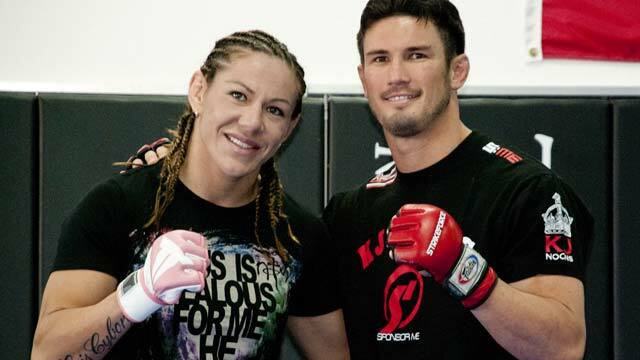 Strikeforce lightweight Champion Gilbert Melendez, and featherweight Women’s Champion and San Diego resident Cris Cyborg (who can be seen teaching Women’s Muay Thai classes at The Arena every Tuesday/Thursday night) will both defend their title on this impressive card! Another San Diego resident KJ Noons, a highly regarded lightweight contender, will be fighting as well. We would like to invite you to an Open Workout for fans and press. Gear and apparel giveaways and up close access to the fighters! The workout session will be held at The ARENA on December 14th at 11am until 3:30pm. It will include access to all the fighters on the main card!